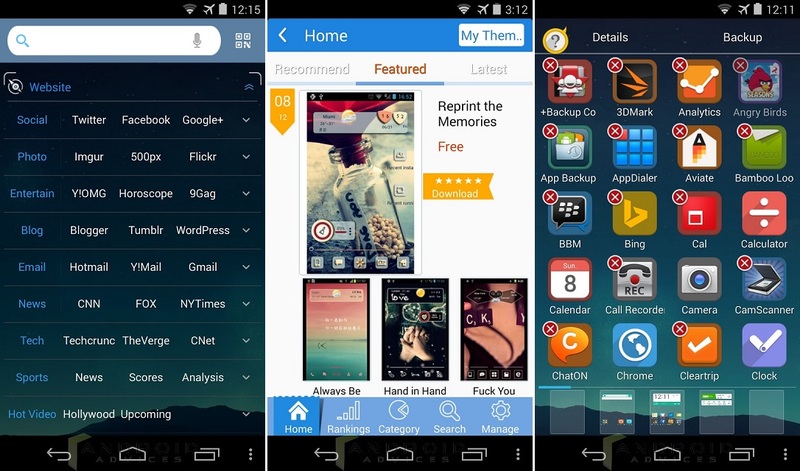 When you talk of any good launchers, most of them would like the inspired ones and the only ones which are very well known around, having millions of users are the Hi Launcher, the Action Launcher Pro and a few others. 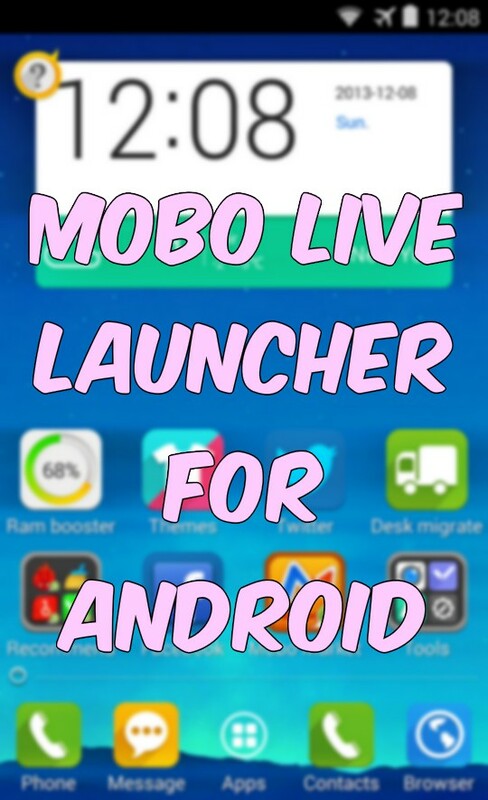 To add to that, there is a very refreshed launcher called Mobo Live, a perfect one for those who wanted to have a totally refreshed look for their device, instead of hitting the head hard for installing a custom ROM in the device. 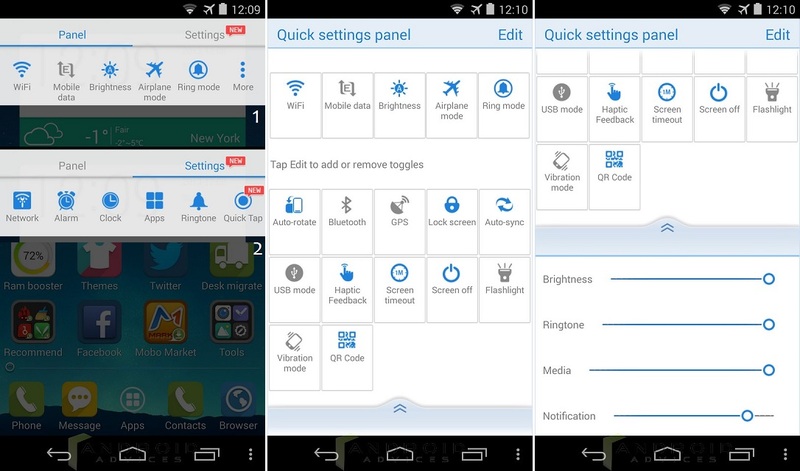 The Mobo Live app comes with loads of options, themes and new icons, widgets which all change the user experience for someone who is using the same interface in their Android phone since a long time. I’m using a Gionee Elife E6 and a Nexus 5 from Google, and both these devices have got totally different interfaces, where the Elife E6 comes with the Amigo interface, while its the Stock ROM with a very simple and easy to use interface in the Nexus 5. I wanted to have a common type of interface which was easily possible through a launcher, and Mobo Live is quite impressive. There is a lot more, but we could argue that some of them are available in the other launchers as well, but what’s special is all listed below in the screenshots. The Mobo Live is seriously going to make a big overhaul to the way your home screen, app drawer and the widgets look. The initial opening of the launcher would show you all the tips to make it easier for the user to get things done. There’s a question mark which on tapping would show the various tips and tricks or swiping, dragging and making the usage easier. There is a direct access to the Recently installed applications and even the recently used applications. The Ram Booster is pretty helpful in managing the RAM and just a tap on that would free some RAM by shutting down the unnecessary applications. The dedicated search page with a whole big list of important sites is not just good, but more than that because one can easily change the details and that includes the voice search. Downloading themes won’t be any hard, because Mobo Live has its own separate section to choose and download the themes, and thus, lesser load when actually installing the Mobo Live initially. You can choose and download any theme later on. Adding the app shortcuts is easier as you can just select it and take it to the home screen which shows in the bottom dock while you have selected it. Drag down from Home screen: It would show up the Quick settings panel, and that includes a lot of quick settings, which actually would be available if you pull down the notification panel too, but that’s not the case in every Android smartphone. 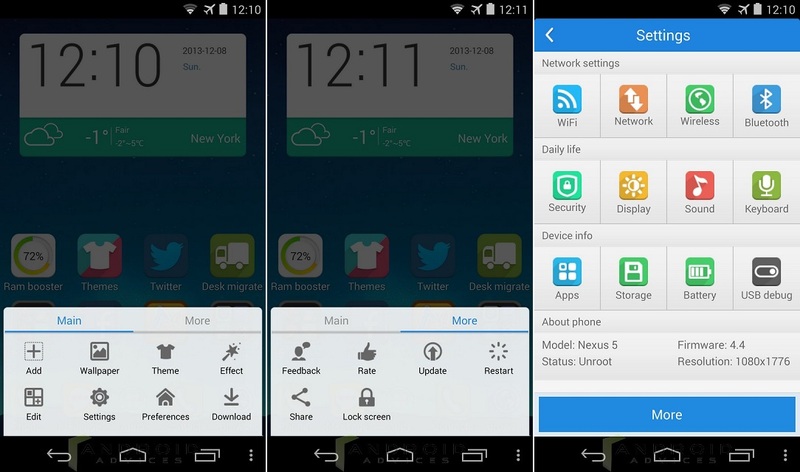 There are settings for the ring modes, connectivity options, and the network settings, Alarm, Apps, Ringtone etc. The extra options include the brightness setting, ringtone setting, media setting, notification volume setting. Drag up from Home screen: This would show up another list of options, and this mostly include the personalization options like the Wallpapers, Themes, Effects, Preferences, Download manager and a shortcut to open all settings. The good thing is you don’t have to run around to find some good wallpapers as the app itself comes with a few good ones. Also, the settings page would let you know whether the phone is rooted or not, so again replaces the need for another app – Root checker. 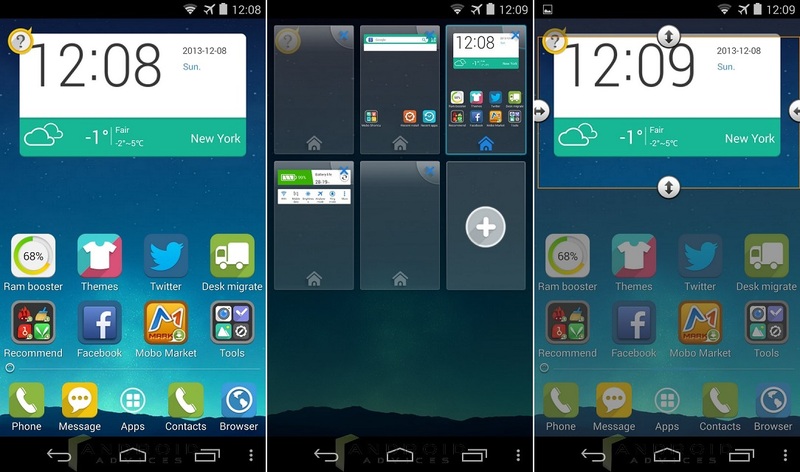 The home screen looks lively with the weather widget which shows not just the weather information, but also the date and time, and there is a lot of flexibility as the users can choose the size based on their need. 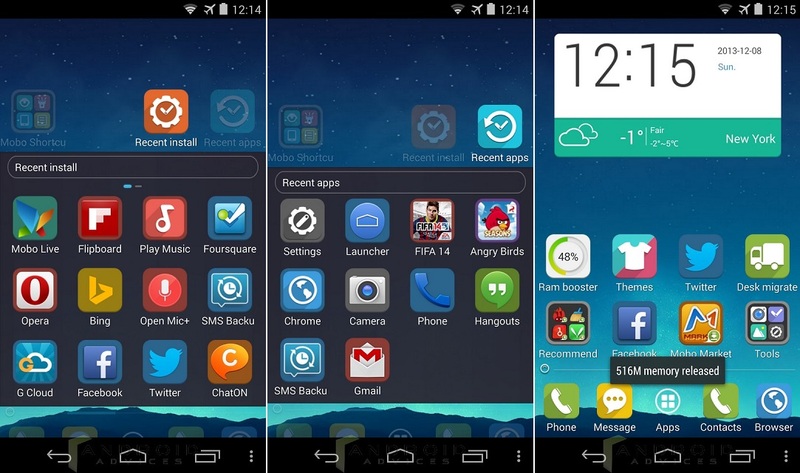 Multiple home screens can be added and removed and things are easy to play around with. Apart from what we shared above, there are some very useful features such as the One-tap power saving and the search function inclusion in the preferences area. 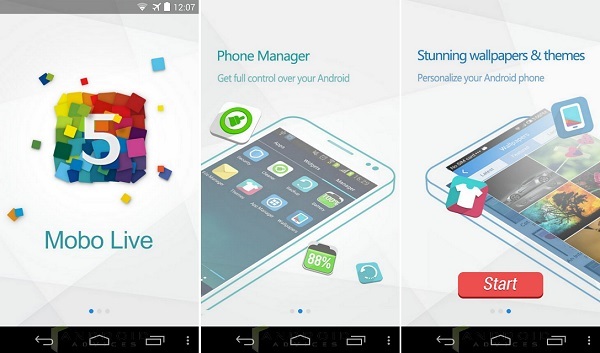 Do we recommend the Mobo Live as one of the best launcher apps for Android? Yes! But why? Security: Warns about the risky apps, which have permissions for “pay for the service” or to access the personal info. 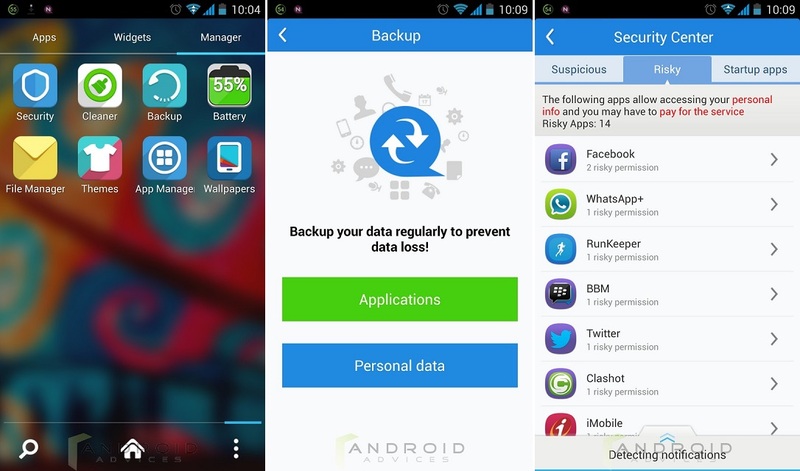 It also has the section for suspicious apps, as well as the startup apps which would run as soon as the smartphone starts up after a reboot. You can set any permissions to them. The website navigation section has loads of important websites listed just like bookmarks, but you don’t need to do that manually as the launcher has the list of the best websites in the different categories from Entertainment to Shipment Delivery, and one can easily go to that by going to the extreme left home screen. 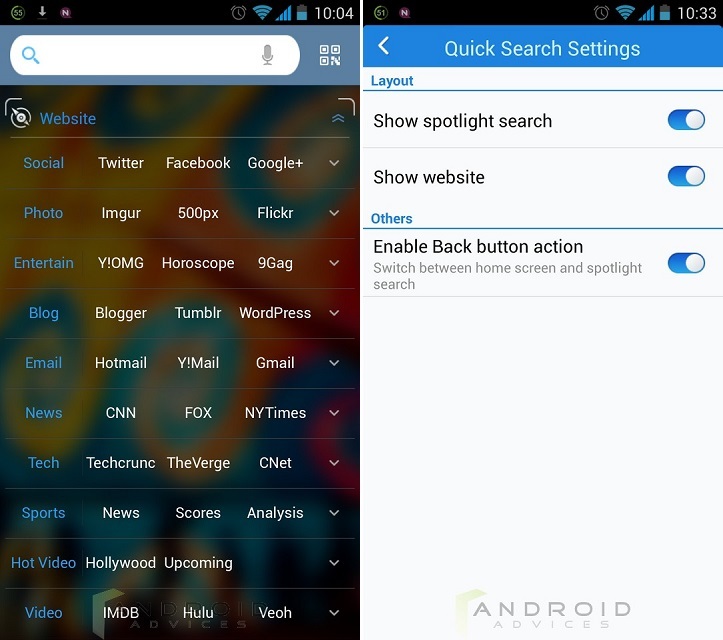 You can choose to show the spotlight search and websites, or to hide them. These two features do make it a better choice than the several other launchers, which are merely the ones for the interface changes but not for the optimization of the smartphone along with the personalization.